Northeast: SMEDAN Trains Over 30 Young Entrepreneurs On Business Dev. By Sadiq Umar – The Federal Capital Territory (FCT) Police Command has alerted the members of the public on the rising wave of car theft in the city, advising them to take extra precautions to safeguard their vehicles. 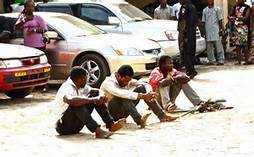 The Police also stated that its men would embark on vigorous stop and search exercise along the highways within FCT, urging for cooperation from the people. In a statement by its Public Relations Officer, DSP Anjuguri Manzah, the Command urged vehicle owners to always have proof of ownership of their cars in their possession to avoid police embarrassment. “As a result of the seeming rise in cases of theft of motor vehicles within FCT, especially the ones that are easily removed from where parked, the FCT Police Command is poised to take necessary action to stem the tide of the menace,” the statement said. It further urged the people to “keep your vehicle locked at all times, even while driving. When parked, keys should not be left in the car. All the windows and sunroof should be closed. “Valuables such as brief cases, hand bags, etc should not be kept in public view. Do not leave your original particulars in your car. Car owners should learn to memorise their vehicle numbers, colour any other vital detail that will aid in identification. “Car owners should not park their cars in a position which the car can be easily moved. Drivers should endeavour to leave their glass wind up and apply central door lock, especially when driving in areas poorly lit. “Do not stop to offer lift to strangers, especially at isolated places. Commercial drivers should be vigilant when carrying passengers at night. “As a driver, when you are not comfortable with your passenger drive to the nearest police stop and search point and lodge your complaint. Motorcycle operators should be vigilant and avoid isolated areas at night. “FCT residents are advised to cooperate with the police by adhering to the above mentioned tips. “In case of distress, the Command control Room can be reached through the following emergency numbers: 08032003913, 08061581938, 07057337653 and 08028940883,” the statement added. NewsInvestigatorsng © 2015. All Rights Reserved.